With so many innovations under its belt, I wonder why China’s handset maker Vivo hasn’t gotten more attention. 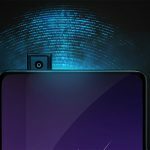 The brand shook the smartphone industry with the world’s first under display fingerprint scanner, then proceeds to further rock the industry with a pop-up camera bezel-less smartphone that has half-display fingerprint scanner, and now, it is prepping to dish up what-could-be-the-company’s most audacious concept smartphone. 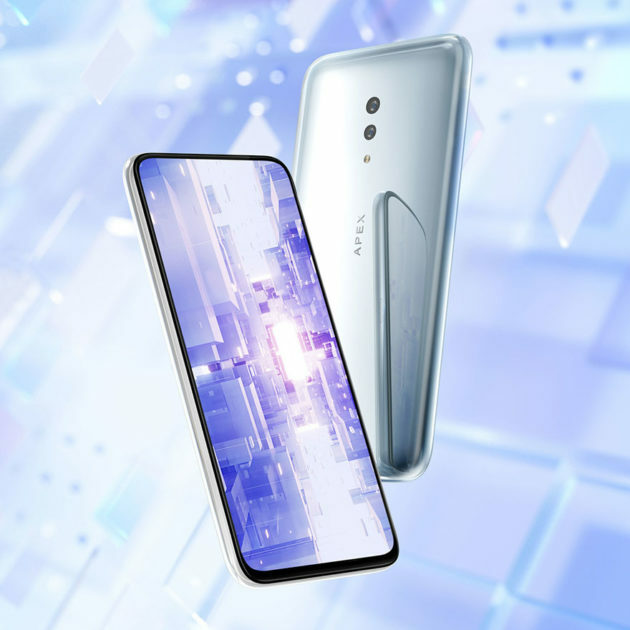 Simply called Vivo APEX 2019 Concept Smartphone, the tech this phone has will sure to make you salivate profusely. I am not even joking. The concept smartphone, which is also the brand’s first 5G smartphone, was revealed at a press conference in Beijing on January 24, 2019. 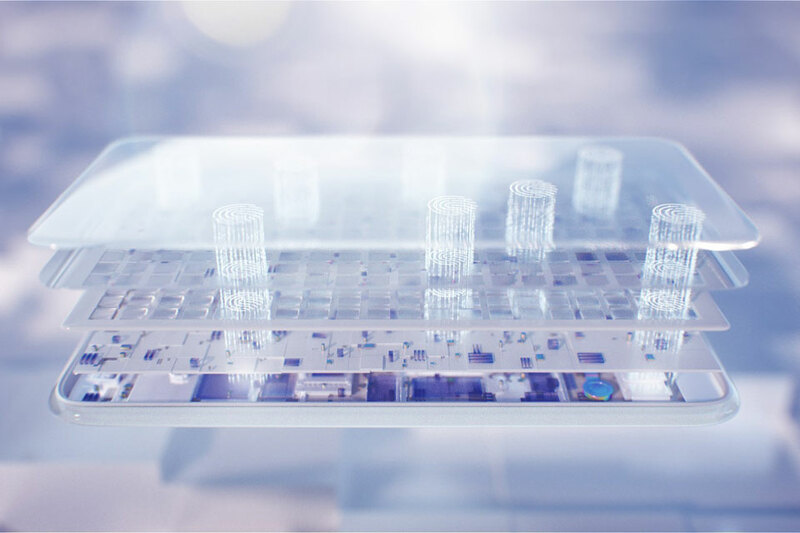 For starter, it adopts a curved-surface “waterdrop” glass with no openings, seams and has incredibly narrow bezels that are almost non-existence. So, no. There’s no notch, which is a major relief for notch haters. However, it doesn’t seem to have a hole punch camera either. At this point, we do not know the fate of the front-facing camera, or even if it is there anymore. We should hear more comes February when Vivo brings it along to the MWC. For now, we know Vivo is particularly proud about its “Super Unibody design” and the world’s first Full-Display Fingerprint Scanning technology. 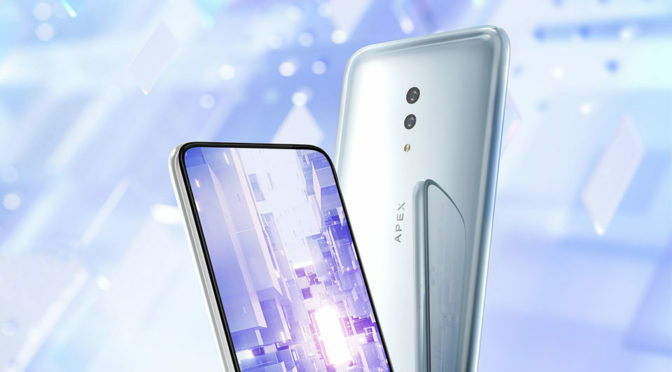 “APEX 2019 comes equipped with Full-Display Fingerprint Scanning technology, with a sensor covering almost the entire display. This enables users to touch almost anywhere on the screen to unlock the device seamlessly, supported by Vivo’s cutting-edge Fingerprint Light function – when the user’s finger is close to the display, the pixels around the touch point will automatically light up as an additional light source to help obtain a clear fingerprint image. And there is the MagPort, which is basically a magnetic power connector (think MagSafe) in place of traditional plug-in USB ports. Vivo said MagPort has allow it to make the body more compact. Also gone is the traditional speaker. In its place, is Body SoundCasting technology that turns the entire display into a speaker by the virtue of screen vibration. Another important new technology is in the motherboard which uses a Duplex PCB Design, allowing the available space to increase by 20 percent and minimizing “overall stacking space.” With the new found space, Vivo is able to place the 5G modules inside without increase the phone’s physical size. Speaking of 5G, the Concept Smartphone is the handset maker’s 5G smartphone that is powered by Qualcomm Snapdragon 855 Mobile Platform, supporting a whopping 12 GB RAM and 256 GB storage. 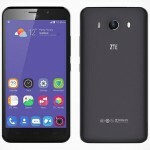 Though it is not clear if the concept phone is outfitted with 12 GB RAM and 256 GB. 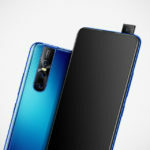 Vivo APEX 2019 Concept Smartphone will be showcased at the Mobile World Congress in Barcelona at the end of February where visitors will get to see it in person. Not sure about handling.